When I was kid, I couldn't wait for June to arrive because that was the month when you could start picnicking. May was often too cool, and by August, it would be sweltering. The cool thing about living in Southern California is that you can picnic anytime. That's why I surprised my parents last January with a day trip to Palm Springs to buy some Medjool dates and to go on a picnic. I couldn't pack just any picnic. After all, I remember vividly our family picnics that my mom used to prepare-- no bagged chips or hot dogs. Her picnics were typical Italian-American feasts, only placed inside Tupperware, set in coolers, and hauled to wherever we were going. Maybe there wasn't lasagna at a July picnic, but you can bet there was summer tomato and fresh mozzarella salad, crispy baked chicken cutlets, and hard, crusty bread to dunk in some silky extra virgin olive oil. For our picnic I decided to go simple and Mediterranean. We started off with some wine, cheese, and bread from a local Italian deli. We then enjoyed a marinated olive, fennel, and orange appetizer I had made, and finished with a savory Mediterranean Wheatberry Salad with Lentils and Chickpeas. Since that day, both my mom and I have made this salad numerous times. In fact, Mom called this morning and said she had just made a double batch of it for a picnic she is going to on Saturday. That's why it's the fifth installation of my Satisfying Super Salads series. Today's super ingredient is wheatberries, a wonderfully chewy, nutty flavored whole grain that is both protein and calcium rich. Tossed with lentils and chickpeas (two fiber and protein powerhouses), this is one seriously healthy salad. With briny kalamata olives, savory sun-dried tomatoes and fragrant fresh herbs, the result is a pleasing medley of bold Mediterranean flavors and textures that will keep you satiated long after you've finished eating. Enjoy it as a vegetarian main dish, or add sauteed pork, chicken, or shrimp. It's also a great side dish with grilled fish, and even works as a stuffing in peppers and zucchini. I usually triple or quadruple the recipe because this makes the most delicious left-over lunch. In general, I am NOT a fan of left-overs, but this is one of those dishes that actually tastes better after it sits a day or two. Plus then you won't have to worry about anybody fighting over the last serving. Soak wheatberries in cold water for at least 30 minutes, or up to 8 hours overnight. (The longer the soaking time, the shorter the cooking time will be.) In a small pot add 1/2 cup wheatberries to 2 cups water. Bring to a boil for 2 minutes, then simmer partially covered for 40-45 minutes, or until tender. Check the water level periodically. If it evaporates up and the wheatberries aren't cooked, simply add a little more. In a small pot, add 1/2 cup lentils to 1 1/2 cups water. Bring to a boil for 3 minutes, then simmer, partially covered for 30-35 minutes, or until tender. Check the water level periodically. If it evaporates and the lentils aren't cooked, simply add a little more. To make the dressing, whisk all ingredients (except fresh herbs) in a small bowl and set aside. Add the herbs just a few minutes prior to assembling the salad so they don't absorb too much of the dressing. 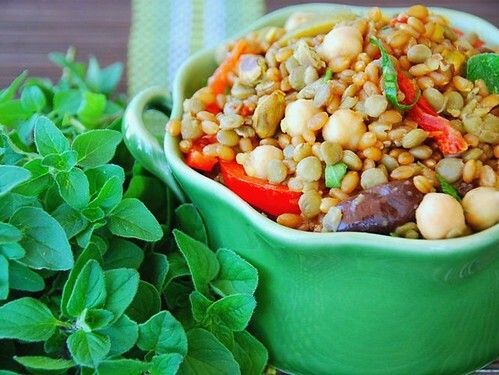 Place cooked wheatberries and lentils in a large bowl and add remaining salad ingredients. Toss until well combined. Add the dressing and fresh herbs and toss well. Garnish will additional feta cheese and/or fresh herbs, if desired. Serve at room temperature or chilled. A shortcut for cooking wheatberries is the microwave. Since microwaves differ, you'd have to experiment with your settings. I find the following works well: Place 1/2 cup wheatberries and 2 cups water in a corning ware dish. Cover and microwave on half power for 15 minutes. Then microwave on high power for 20-25 minutes, or until the wheatberries have absorbed the water and are cooked through. They should be firm, but not hard. Also check the water level occasionally to make sure it hasn't evaporated. Sometimes you need to a bit more water before the end of the cooking time. 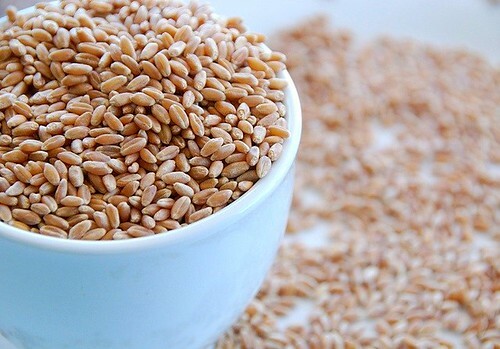 **Wheatberries are usually located in the bulk section of specialty and organic markets. Sometimes they are labeled "hard" or "soft." Hard wheatberries need to be soaked in water overnight before cooking, whereas soft ones don't. 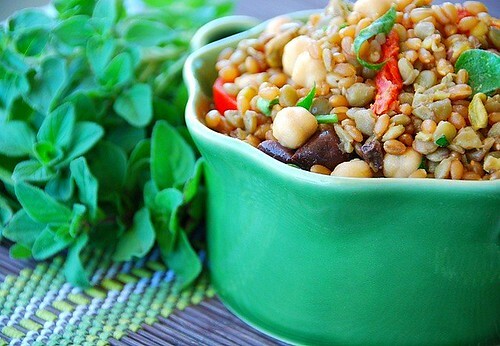 I've never had wheatberries before, but this salad looks so good I'll have to seek them out! this looks delicious. I have never made wheatberries. it doesn't seem hard so I should. What a gorgeous salad. So many of my favorite ingredients in this one! yum, this salad looks delicious - I can't imagine this being turned down on any picnic! I've been tossing wheat berry sprouts in salads lately - love the chewy texture. Now this is a salad where all the ingredients are familiar to me. It sounds delicious. That healthy and tasty salad contains all the legumes and cereals that I love! Really wonderful! where there are sun-dried tomatoes, there i shall also be. this is a gorgeous and chock-full-o'-goodness salad, susan! Love the look of that salad! And your photo is just beautiful. Omg! So familiar :D Love to see this here! So healthy and satisfying... mmmm yummy! I love wheatberries... Can't have them anymore but still I can remember all the reasons why they were so wonderful. I use to make a wheat berry salad with cranberries and roasted hazelnuts at Thanksgiving that was to die for. Your salad is beautiful and I bet it would taste great with some of the other wonderful grains I can still enjoy like quinoa. We're going to meet friends at a lake today so I think I'll go and try it. Thanks! Wheatberries are new to me. But as always, your salads look awesome, so I would happily try that--it looks great! I love the mediterranean, I love wheat, and I love berries - I think this would be great! Hi Susan! 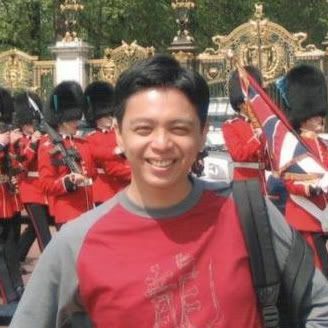 I got all engrossed in your nice picnic story, and I obviously made another comment on your blog for Darius, could you delete that,I'll go over to his again. I always enjoy your stories, and this salad I might have to triple it, for my crowd! Love it! Oh, it worked! I deleted it! Sorry! Yum! This looks fantastic and hearty! I'm excited to try wheatberries now! I love lentil and chickpea salad this must be even better with the wheat, olives and feta! Did I day 'Great Salad'? Hi Susan - well, I've never cooked with wheatberries, I've always like them baked in bread, so I will have to give them a try. this look so healthy, and delicious. After a week of traveling I need vegetables! I cook a whole huge batch of wheatberries and keep them frozen in one cup increments. They last indefinitely (although I eat them up too quickly to really determine this to be true) You can do the same with farro. I know we would love this salad, as we have really enjoyed all the other Super Salads you've posted. How many more are there?? This salad is perfect in every way possible. I'm with cynthia. This is possibly the best non-greens salad I've had all summer. I particularly like the lemon/sugar play of flavors in the dressing. As for all the beans/grains, I'm a sucker for all of them all the time. You do nice work, Susan. Hey, katiez, you can order soft white wheat berries by the pound, not expensive, at Purcell Mountain Farms online. Don't know what it would cost to ship to France, but they're just a few keystrokes away. because i'm a lazy bum, i usually dream of such salads and then just pop into EAT. or Marks & Spenser's to get salads that look and taste as good as that...but then u post up pics and recipes, so i think man, i really should actually make it myself?! this looks gorgeous. and so refreshing. This is my type of salad - the ingredients are not foreign to me and it is sooooo healthy! Thanks for the recipe! we've been eating a lot of wheatberries of late - regular and sprouted. it's very satisfying in a salad, indeed. love the picture. val-A girl after my own heart. maybelle's mom-Yeah, give 'em a try! lydia-There's nothing like October in New England. manggy-You could order them online. kaykat-I haven't had wheat berry sprouts, so thanks for the heads up. rosa-Oh, thank you, my dear. bal-I'm so glad you like it. alexa-That does sound to die for. That's wonderful to hear. Have a lovely time! lynda-I just love the flavor combination. katiez-You can buy them online, I know. deeba-That's so funny. I think you're right! :)I haven't try the sprouts, but I'm going to look for them. ursula-Then this is your dish. kate-That's a great idea! One or two I think. cynthia-How kind of you to say. anonymous-Thank you for that thoughtful comment and for your suggestion to katie. diva-It's fun to make and better to eat. What a great salad! That wonderful grain and legume combo and lots of my favorite flavors and veggies. Colorful, too! jeanne-They're available online too if you can't find them. Okay - I have to admit I was a bit skeptical that this would turn out as tasty as it is when I read the ingredient amounts for the dressing (the teaspoon measurements threw me) but this salad is SO GOOD! It's a great lunch for me to make in a batch and bring to eat at the office all week. I just bought some wheat berries. I can't wait to try this recipe. Thanks for sharing.